I had an off day so popped by for an early lunch at Three Buns @ Potato Head Folk, apparently the latest and greatest F&B joint, fresh off the beaches of Bali. 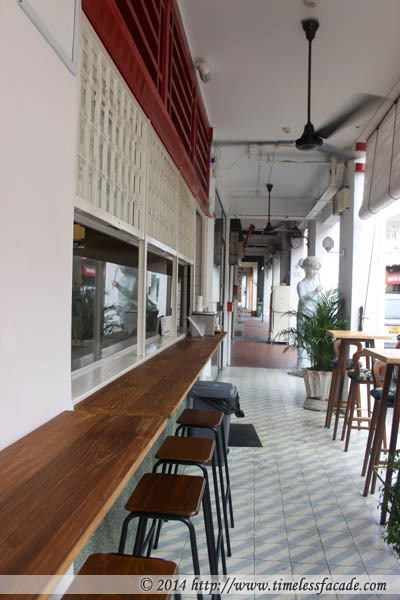 Housed in the iconic, former Tong Ah Building (東亞) along Keong Saik Road, Three Buns @ Potato Head Folk offers takeaway and alfresco dining on the ground floor, table service on the second and a cocktail bar on the third. The kitchen is also located on the ground floor so you can pretty much have a good view of the workings if you choose to sit along the passageway. Dining alone, I didn't quite fancy any table service and wanted a look at the kitchen hence I made myself comfortable on one of the tiny wooden bar chairs along the passageway. On hindsight, that probably wasn't a great decision as passers-by kept bumping into me due to the rather narrow path. And lets not forget about the afternoon humidity and heat. Naughty Fries - Naughty fries. How catchy. Instead of the usual rectangular shaped strips of fries, these came in wide, thinly shaved pieces and topped with the likes of Parmesan, spiced Bearnaise, shallots, parsley, chopped spring onions and a smattering of mildly spicy hot beef chilli. 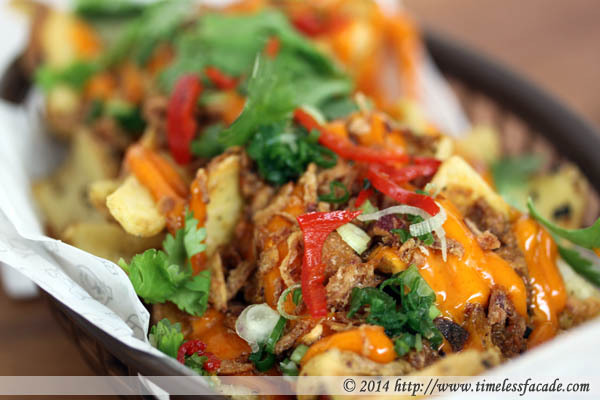 Apart from the rather interesting Asian twist to an otherwise Western dish, it was essentially Carl's Junior's chilli beef fries with a little more finesse; Fresher tasting with a slightly spicier kick. 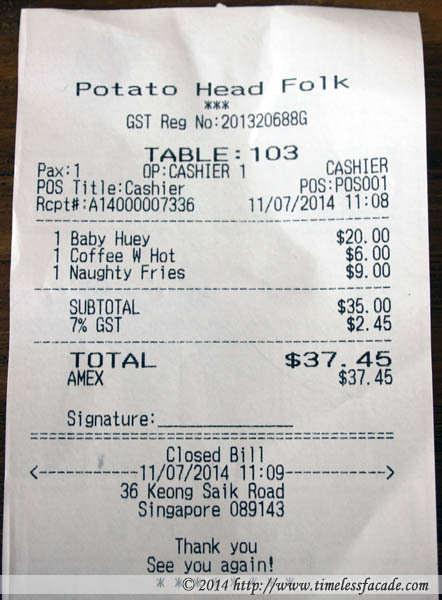 $9 gets you a sharing portion for 2pax. 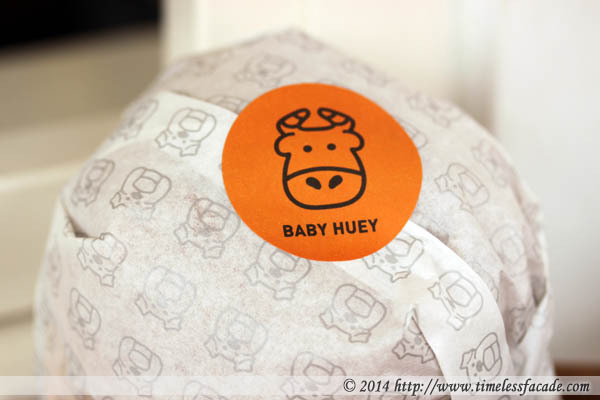 Baby Huey - A thick and juicy but mildly overcooked 150g beef patty topped with melted cheese, lettuce, spiced mayo, pickles and 'Notorious T.O.M Sauce' (whatever that means). Served up between two soft and fluffy buns (like the one's from Triple O's), this was one pretty good burger. 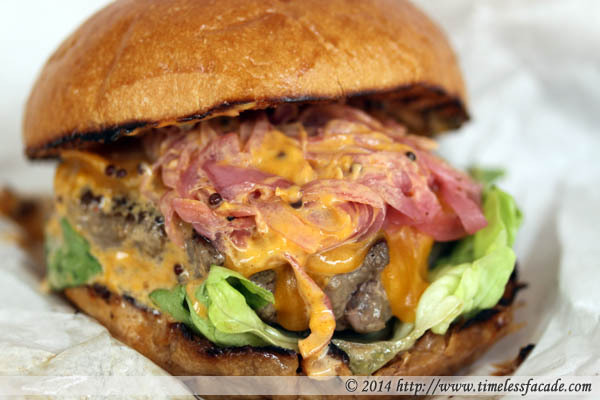 I personally liked the mild tanginess of the of the whole burger and the crunchiness provided by the pickles. An abundance of sauce made for a very messy burger but it was all good. I'm definitely trying out the double patty burger on my next visit! A rather sweaty but filling lunch cost me about $37, which seriously isn't cheap by any standards for a burger, fries and an iced coffee (which incidentally tastes like the $1 ones at a local coffeeshop. But don't quote me on that as I know nuts about coffee). No service charge was levied because it was pretty much self serve but I assume a 10% service charge would be tagged on if you were to sit on the second floor. The burger alone is worth a revisit though!